Birchbox had sent me a welcome email with a promo code for 20% off my first purchase and I received 50 Birchbox Points for completing product reviews for all 5 of the products in my box this month. This brought my Birchbox Points total to 210 giving me $20 off anything in the Birchbox shop!! 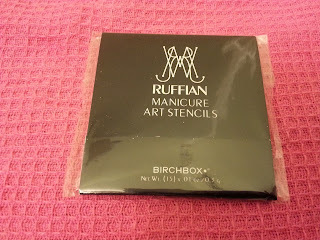 Since I was able to combine the discount with my Birchbox Points, I decided to splurge and purchase some products from the RUFFIAN line! 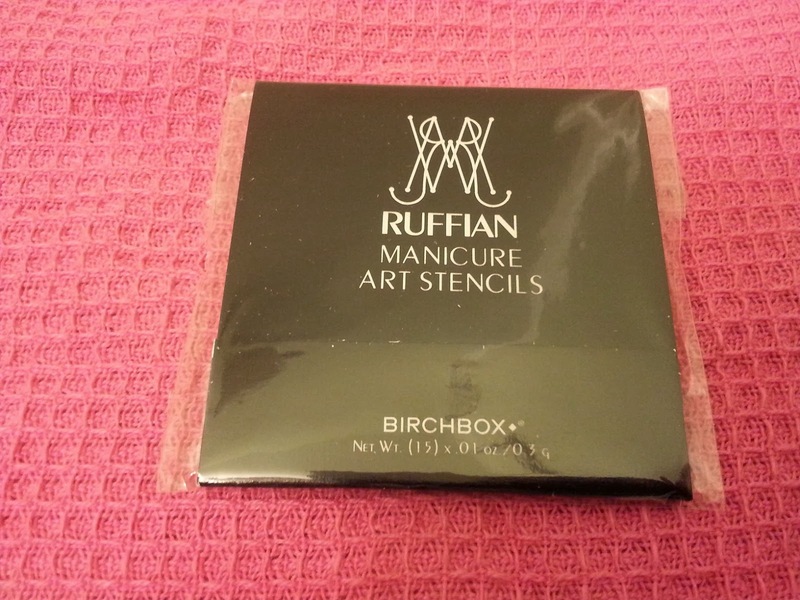 I thought this kit would help me create the perfect RUFFIAN manicure!! I was somewhat indifferent to Naked since I'm not a big fan of neutral polish. But I was interested in trying Red since it seems to be all the rage. However, I was most excited for Ciré Noir given my love for black polish! I thought about just getting the later two polishes, but decided to purchase the entire collection since it was only an additional $3.20 for the third because of the discount! It seemed like a great deal since they are $10 a piece when sold separately. And who knows, maybe I'll end up really liking Naked! 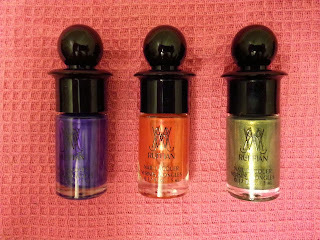 I loved Hedge Fund so much that I had to try the other two shades in the collection! 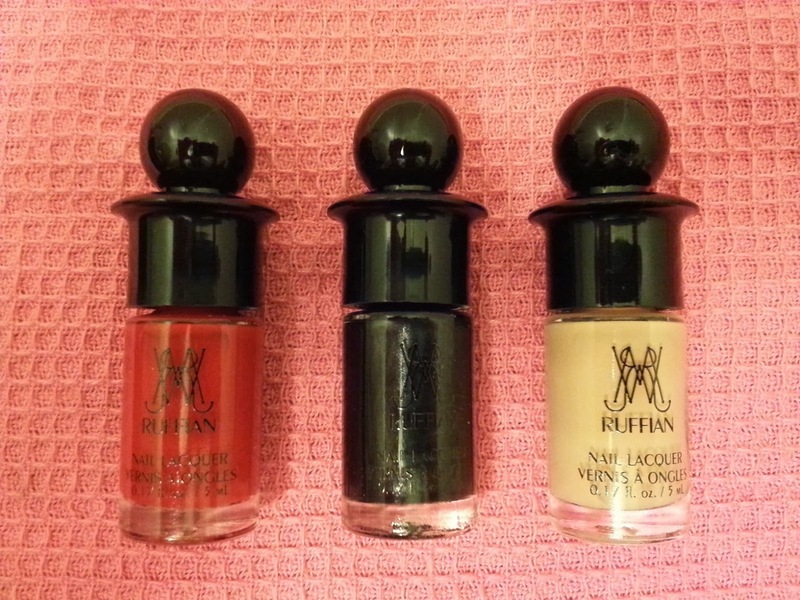 Both colors look gorgeous and I can't wait to try them together in a RUFFIAN manicure! I purchased the entire collection even though I only needed the other two colors because it was such a great value. I figure I can give away the extra bottle of Hedge Fund to a friend! 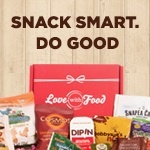 Saved $10.00 with promo code + $20.00 with Birchbox Points! Total Spent: $24.00 plus sales tax!! Plus I got free shipping since I purchased a product featured in September's box! It's kind of like I bought one collection and got the other collection and manicure stencils for free! The Crowdsourced Collection is my favorite. Which collection do you prefer? 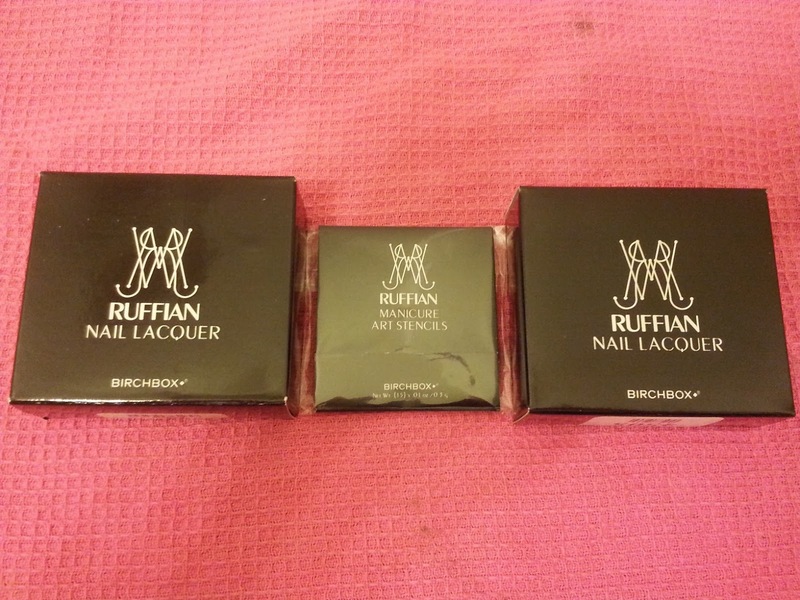 Have you tried creating a RUFFIAN manicure?